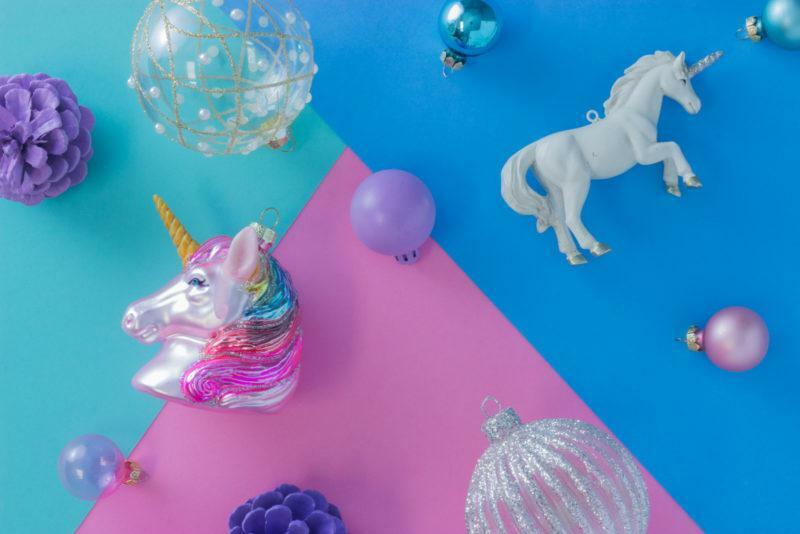 A whimsical White Unicorn Christmas Decoration. A beautiful white unicorn decoration. 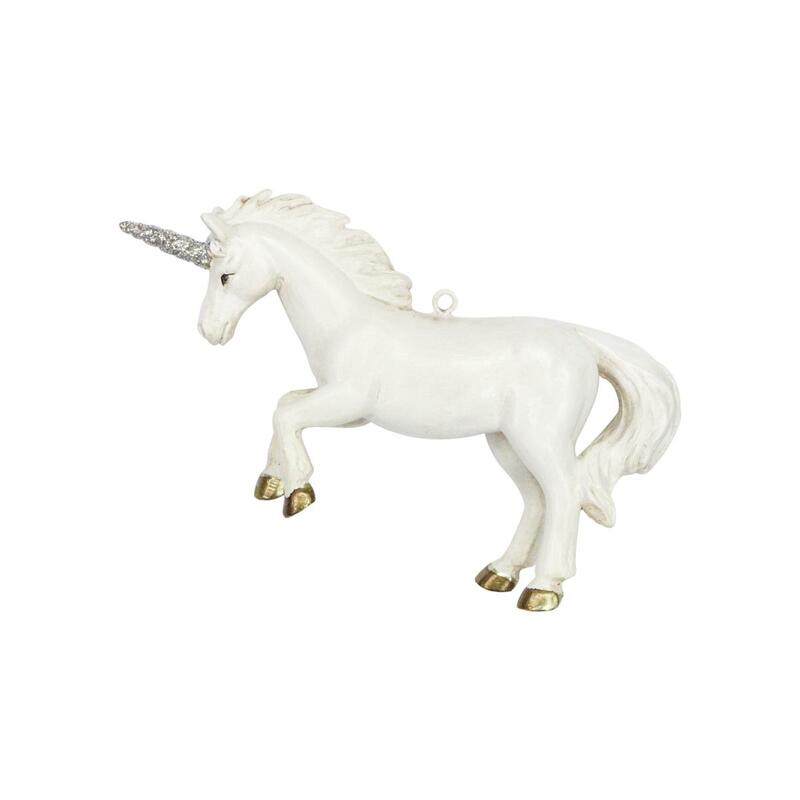 A beautiful realistic white unicorn decoration with a silver horn and white hanging ribbon.